Tawang - in Arunachal Pradesh, is also known as the land of orchids, quaint sounding lakes and the handsome Monpa tribe. Its claim to fame is the 400 years old Tawang Monastery belonging to the Galukpa faction of the Mahayana sect of Buddhism. Tawang Monastery is the second oldest Monastery in the world. The name 'Tawang' means Chosen Horse. It is also known by another Tibetan name, 'Galden Namgey Lhatse', which means - a true name within a celestial paradise in a clear night. Many believe that the name TAWANG was given by Mera Lama in the 17th century. Tawang district is an administrative district in the state of Arunachal Pradesh. 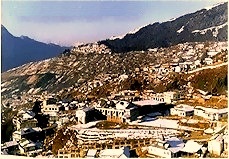 Tawang Town is the district headquarters. Most of the people, which includes the Monpa, Takpa and the Tibetans, are Tibetan Buddhist by religion. The sight of the tranquil water of lakes, rivers and of numerous high water falls reflecting the color of blue sky and sometimes hovering clouds overhead gives a very heart touching sensational experience to the visitors. There are beautiful lakes around Tawang. Few of them are Pankang Teng Tso (P.T. Tso ) lake, Sangetser lake and Banggachang lake. Through these lakes people can get a chance for deep communion with nature. Another attraction of Tawang is the Tawang Monastery (Gonpa). 'Ganden Namgyal Lhatse' - the Tawang Monastery - is one of the largest lamaseries of Mahayana sects and the second oldest Monastery in the world after Lhasa. The Monastery is housed with more than 500 monks. 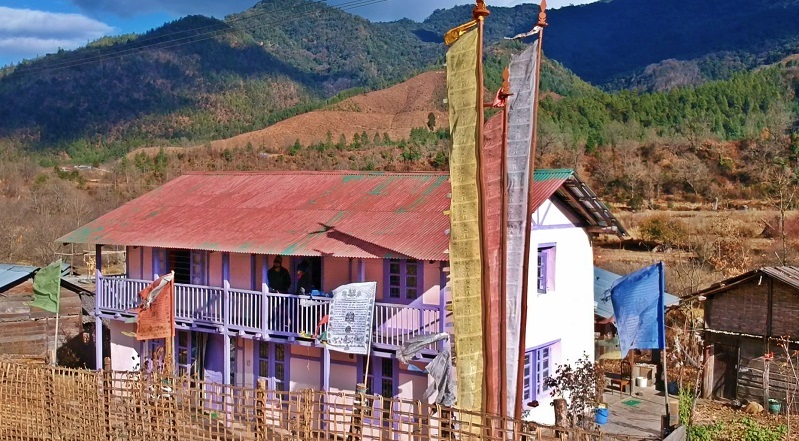 About 164 Kms from Tawang township, lies the Gorichen Peak - the highest peak of the region and often been a cynosure of challenge for the mountaineers. And about 40 Kms from Tawang, is the BongBong (Nuranang) Waterfall where one can witness the breathtaking and tantalizing milky water falling from the height of about 100 mtrs. In the Tawang district, most of the tribes depend on agriculture for a living. Owing to its cold weather, farmers breed yak and sheep herds, although in lower altitudes crops are planted as well. Its been years , me and my wife are thinking to go to tawang. I hope soon we should be there.